“So many people admitted they made snap judgments before all these other facts came in,” co-host Whoopi Goldberg said. “But is it that we just instantly say that's what it is based on what we see in that moment and then have to walk stuff back when it turns out we're wrong? Why is that? Why do we keep making the same mistake?" "Because we’re desperate to get Trump out of office. 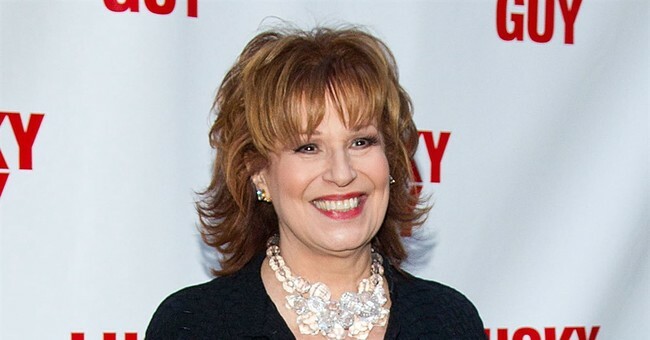 That’s why,” Behar quickly responded. Whoopi Goldberg on the media smearing the Covington Catholic boys: "So many people admitted they made snap judgments before all these other facts came in. ... Why is that? Why do we keep making the same mistake?" “Not everyone though,” co-host Abby Huntsman interjected. “I think that's the reason. I think the press jumps the gun a lot because we just -- we have so much circumstantial evidence against this guy that we basically are hoping that Cohen has the goods and what have you and so it's wishful thinking,” Behar continued. Pundits and many media reports had to walk back initial takes on the interaction based on a short video, which appeared to show the teenagers mocking the Native American activist, because longer footage revealed a different story.